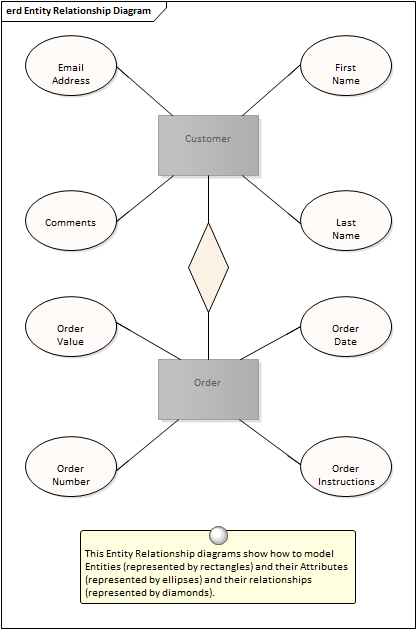 Entity Relationship Diagrams can be drawn to cover all of the Entities in a given domain in a single diagram or alternatively a number of diagrams can be created for different aspects of the domain. Diagram Filters can be used in presentations to focus on specific parts of a diagram that are of interest to the audience. The Documentation Generator can also be used to produce a data dictionary describing the Entities, their Attributes and their relationships with other Entities. 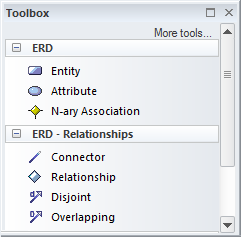 The Entity Relationship Diagram (like any diagram) can be viewed as an element list which makes working with the element's properties easier.